Biometric is a rapidly growing technology that is infiltrating top global industries as well as our everyday life. Voice recognition and touch ID Fingerprint that we use to unlock our smartphones are classic examples of this powerful technology that we are using every day. It all started with the Motorola Atrix, when for the first-time fingerprint authentication type of biometric verification system was handed over to millions of users. India’s national ID method Aadhar is the largest biometric database yet created in the world. As of March 2018, more than 89% of the total population is enrolled on the system and have been issued the Aadhar card. Biometric authentication is a rising trend and the banking industry is one of the first to adopt it. Since banks are most susceptible to attacks and breach of security, they need a security system that is more robust than the complex IT platforms. 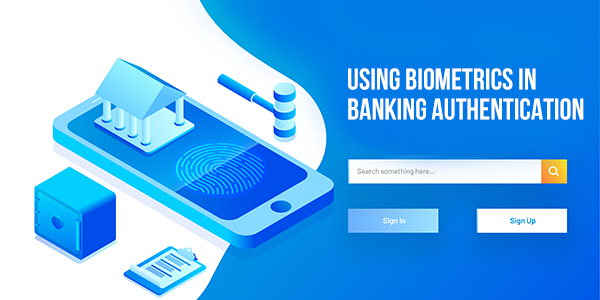 Therefore, many financial and banking institutions are now relying on biometric authentication devices for enhanced security and simplified verification systems. It enables organizations to provide an easy way of protection and security to their customers when compared to structures that require you to remember passwords created using complex and special characters. Meanwhile, biometrics is gaining attention because of its simplicity and ability to create authentication patterns that are impossible to imitate. Let’s learn more about the new authentication technology and its role in changing the banking system. The term biometric authentication has come from the word biometric, which is a technical reference for body measurements and calculations. Biometric security systems rely on these unique biological factors to authenticate identity. 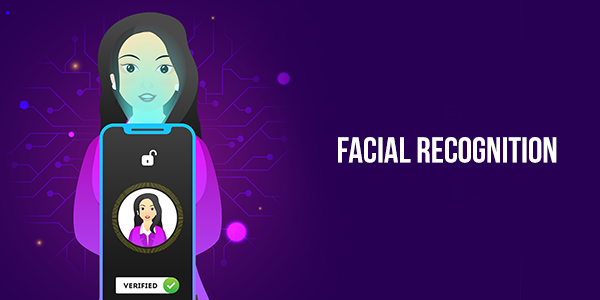 It is an electronic user identity authentication system that uses chemical, behavioral or physical characteristics of a person to recognize and then authenticate the identity. The powerful technology can grant or deny access. It can even restrict the access or entry for suspicious or unauthorized activity. Using it as a form of identification for access control or using it for identifying the group of individuals under surveillance are some of the uses of biometric identification system. The various physiological attributes used by biometric authentication systems include fingerprint, palm prints, face recognition, retina recognition, vein patterns and more. As for the behavioral characteristics, it measures gait and voice. Today, Biometric identification systems are considered as the most effective security systems. For a long time, we relied on knowledge-based identification system such as passwords and pins. However, this technology has emerged superior when compared to other security measures and offers better protection and privacy. As the name suggests, this method uses the unique patterns of individuals’ thin circular structure in the eye. This is considered to be the most reliable method of biometric identification. Banks in large number are adopting this method of authentication and the trend is expected to grow bigger in the coming years. Most of us are familiar with this method of biometrics, thanks to smartphone companies. It works by analyzing the detailed yet unique patterns of raised areas on human fingers. It is currently the most popular way of identity verification. This is a complex yet widely preferred method of biometrics. Several banks are using this technology at ATMs, allowing their customers to complete transactions without using their cards and other passwords. It works with 80 nodal points on the face to validate the access. However, the use of this can be restricted depending on surrounding factors such as lighting. This is why it is sometimes considered less effective. Veins pattern verification uses vein recognition in palms and fingers. These patterns are unique and provide a sturdy system as it is not easy to duplicate them. These modalities of biometrics are used in banking industry widely. Different banks have different systems. It can be used for a variety of banking activities ranging from access management to funds transfer. This system provides greater security against fraudulent activities in the banking sector. With the advent of this technology, pin and passwords are just a passing trend. They are used as a secondary option for security and safety. Biometrics in banking has become an integral part of the security and verification systems. This transformational shift occurred due to the rapid digitization of banks and it’s branches. This has forced financial institutions to incorporate tough and reliable security systems. This was important to convince customers who are reluctant to technology change and replacing traditional methods of handling their fortunes with modern digital methods. Therefore, a robust security system is not only important for security purposes, but also for brand building and staying ahead in the competition. Digitization of banks have certainly made them more susceptible, however biometric authentication provides a secure and mighty wall to the banking facilities. Several banks are using various methods of biometrics for authentication and identification. This technology has improved and simplified security systems. Remembering passwords and pins created enough complication. Furthermore, creating a password required the use of special characters. Unfortunately, breaking into someone’s system using a password is easier than replicating fingerprint or iris patterns. Moreover, it has made logging into mobile payment apps a lot simpler. This has made banking for the employees as well as customers faster and hassle-free. Biometrics is less vulnerable to theft than a password that we often stored when we could not remember it. It may not be a fool-proof system, but duplicating various physiological or behavioral attributes is not easy. Meanwhile, integrating biometrics with other types of the authentication system is easy. It created a multi-layered authentication system which is strict and hard to crack. To create such a system, biometric attributes are paired with passwords or personal questions. This system is largely prevalent in the banking sector and has proven to be quite effective. Long gone are the days when signature and passwords were the only means to access your valuable account and its information. With technological innovations, steps of authentication have increased ensuring a stricter security system. One of the most reliable ways biometrics is being used, is branch banking. 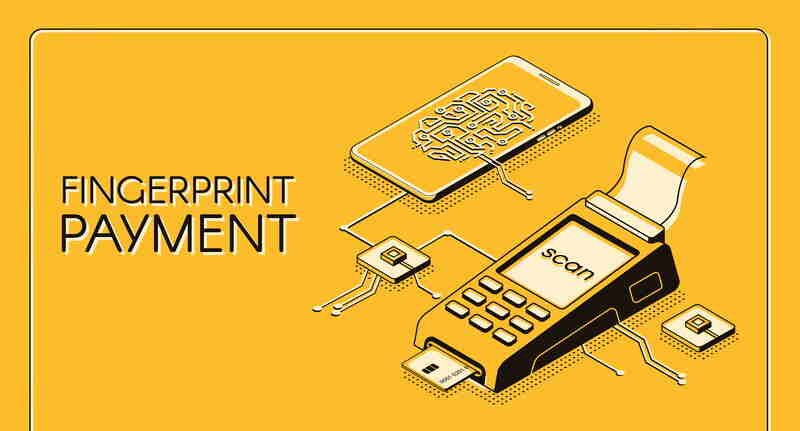 Most of the banks are using fingerprint or vein patterns to authenticate access for banking transactions. Until the system does not find an exact match as per the biometric database, the branch does not allow access. Biometrics is a ground-breaking addition to the trending mobile banking and payment technologies. 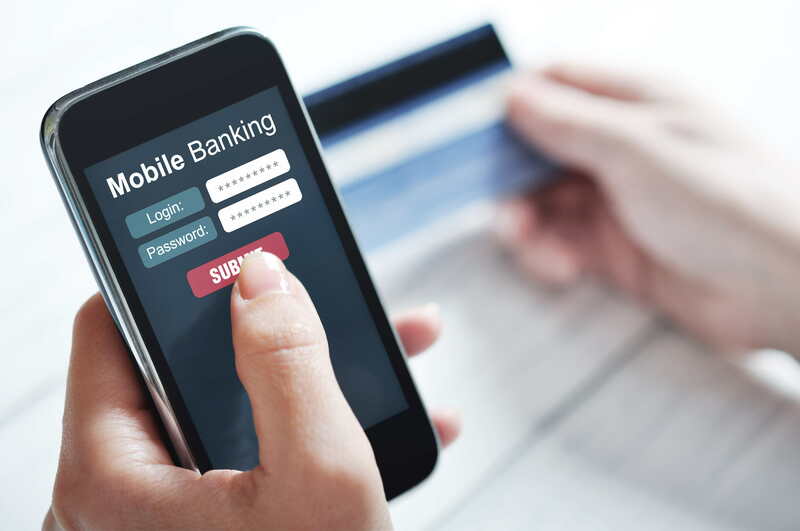 Mobile banking platforms are emerging as a powerful tool for banking, however, it still lacks customers’ trust who have been concerned about the security of their money. The adoption of biometrics in terms of fingerprint recognition, voice recognition or multi-factor biometrics have changed, and people are now adapting to the technological shift. According to the experts, PINs will soon become obsolete. Biometrics has contributed largely to the success of mobile payment and banking apps. This technology promises to make banking faster and save them from fraud. Biometrics is the future of security systems and many countries are making the most of it. With fingerprint biometric security systems, ATMs are a safer place to perform banking activities securely. The fingerprint serves as a signature or pin to access your account. This technology is also expected to alleviate the need for card swipe in the future. Use of biometrics in banking systems is occurring at various levels, and internet banking is experiencing the impact. Several banks are now using multi-factor biometrics for internet banking. This is possible due to advanced laptops and smartphones that make iris recognition, voice recognition and facial recognition possible. As mentioned above, Biometrics is one of the most reliable security systems nowadays, that is not easy to invade. The use of unique characteristics for authentication makes it the most secure system for banks to protect sensitive information. It may not be impossible to crack it, but it is not easy to infiltrate these systems. Since it depends on single-action, logging into the accounts is faster. Consequently, banking is now simpler and quicker for customers and clients. Previously, telephone banking was a tedious process wherein customers needed to provide several answers for verification. However, voice verification curbs all these challenges and provide a secure gateway. Consequently, customer care services have improved tremendously. We have all been concerned about thefts in ATM, theft of debit cards and such situations. With the introduction of fingerprint technology, it can replace the need to swipe the card and related dangers. Biometric verification enables banks to prevent fraud. Its predictive approach can even identify fraudulent behavior and restrict access. Banks can track the transactions even at the backend level where most of the frauds and scams occur. With a solid biometric authentication system at place, chances of such behavior can be reduced. Analysts suggest that the future of biometrics in banking is bright. With so many options to choose for biometrics identification, banks have a choice to make. Studies suggest that in the next decade, biometrics will become the predominant identity authentication system for banking and financial institutions and provide banks the highest level of security possible. The potential and scope of the technology is vast. It is expected to become a key element of change in the banking scenario. However, before biometric authentication system becomes a new norm in the banking sector, there is a lot of homework that needs to be done. While banking institutions are interested in deploying this method of identity verification, there is a lot to be understood and learned about it. Industries have put in dedicated efforts to explore the potential of the technology. Convenience and a stronger security system have been the defining factors in the growth of the biometric industry, but there is still a long way to go.